Former Wallabies captain Ben Mowen has been selected to make his Top 14 debut for Montpellier against unbeaten Clermont Auvergne on Friday. Mowen, 29, did not get play in Montpellier's first two matches of the Top 14 season - a loss to Racing Metro and a narrow win over Grenoble - but he has been named to start with Fabien Galthie seeking a fresh look to his unconvincing team. Mowen, who performed outstandingly for the Wallabies last year, and who enjoyed a successful November tour of the northern hemisphere as captain, will be keen to make a good impression on Galthie, whom he has cited as a major influence on his decision to sign for Montpellier. "I did not talk to Fabien Galthie, but I spoke a lot to Jake White [the 2007 Rugby World Cup-winning coach of the Springboks and Mowen's coach at the Brumbies]," the Australian told L'Equipe earlier this year. "He told me that Fabien was one of the best coaches in the world and he deserved one day to be in charge of France." 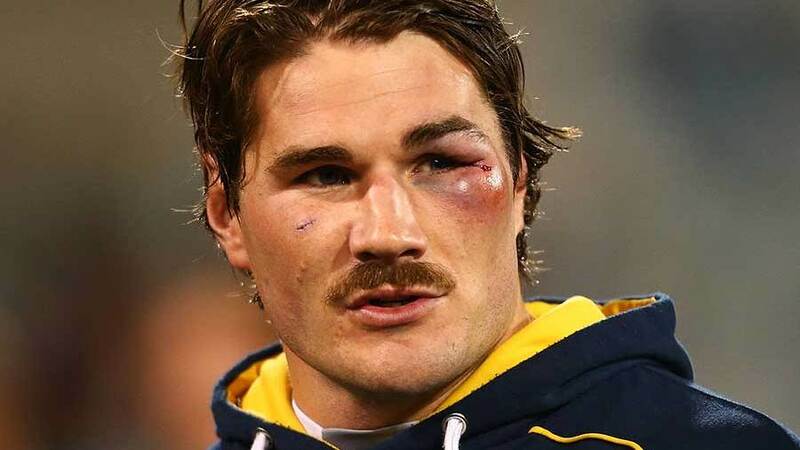 Mowen announced in January that he was quitting the Australian rugby to join Montpellier, for family reasons, and he has a lot to live up to after signing to replace iconic Georgian flanker Mamuka Gorgodze, who left for Toulon.